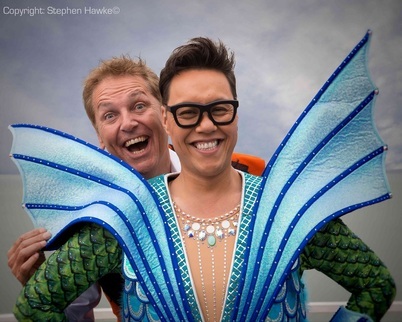 The weather may have taken a rather gloomy turn but Brian Conley and Gok Wan certainly brightened up the the Cliffs Pavilion as they posed in their costumes for photos for the official launch of this year's pantomime, Robinson Crusoe & the Caribbean Pirates. If the playful mood and constant hilarious banter of these two during the photo shoot is anything to go by, then Southend audiences are certainly going to be in for a treat. I manage to grab the pair of them for a quick interview to find out just what audiences can expect from this year's panto spectacular. I also get an opportunity to chat to Qdos Director, Jonathan Kiley, who tells me that producing blockbuster pantomimes keeps him busy all year round. Everyone’s favourite fashionista, television presenter, chef, designer and pantomime star Gok Wan will play the Spirit of the Ocean, offering help (and style tips) to Robinson, his mother Mrs Crusoe and the beautiful Polly as they try to outwit the evil Blackheart the Pirate, defeat the mighty sea monster and win riches beyond their wildest dreams. Robinson Crusoe & the Caribbean Pirates marks Gok’s fourth pantomime appearance for Qdos Entertainment. 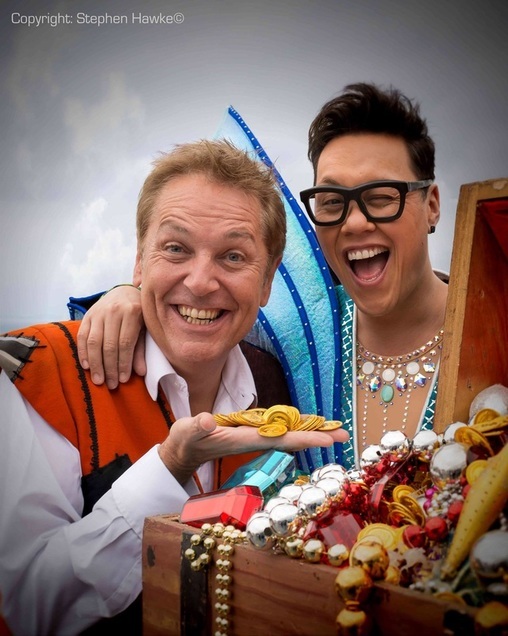 Robinson Crusoe will reunite Gok with Brian Conley having won rave reviews together for their roles in a record-breaking production of Cinderella in 2014. In a career spanning three decades Brian has appeared in award-winning West End musicals and television sitcoms, presented his own chat shows, recorded three albums and completed numerous sell-out tours of the UK. On stage he has starred as Edna Turnblad in the hit West End musical Hairspray both in London and on tour, and has completed a nationwide tour of Brother Love, celebrating the music of Neil Diamond, directed and choreographed by Craig Revel Horwood. Brian also starred in the nationwide tour of Oliver! playing Fagin, starred in Jolson, Me and My Girl and played the title role in the UK tour of Barnum, which played to sell-out houses in 2014. 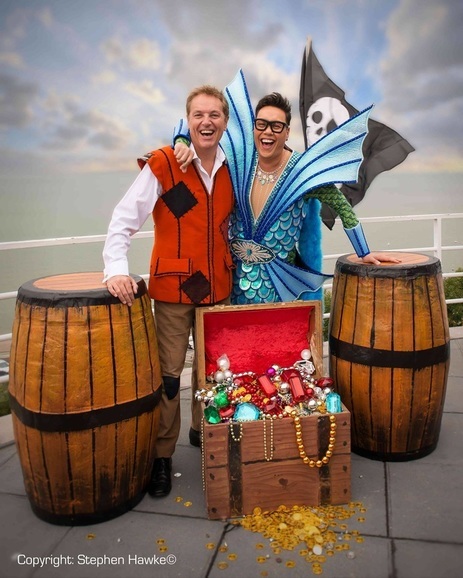 The ship-shape show is produced by Qdos Entertainment, the biggest pantomime producer in the world, who will bring an action packed family show full of fabulous scenery, outrageous costumes and stunning special effects, plus a few surprises to shiver your timbers. With tickets selling fast, set sail for the box office and book your tickets now.